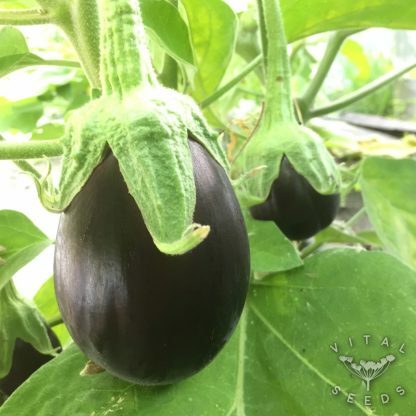 The classic open-pollinated aubergine, heavy crops of striking black-skinned fruit on vigourous plants. 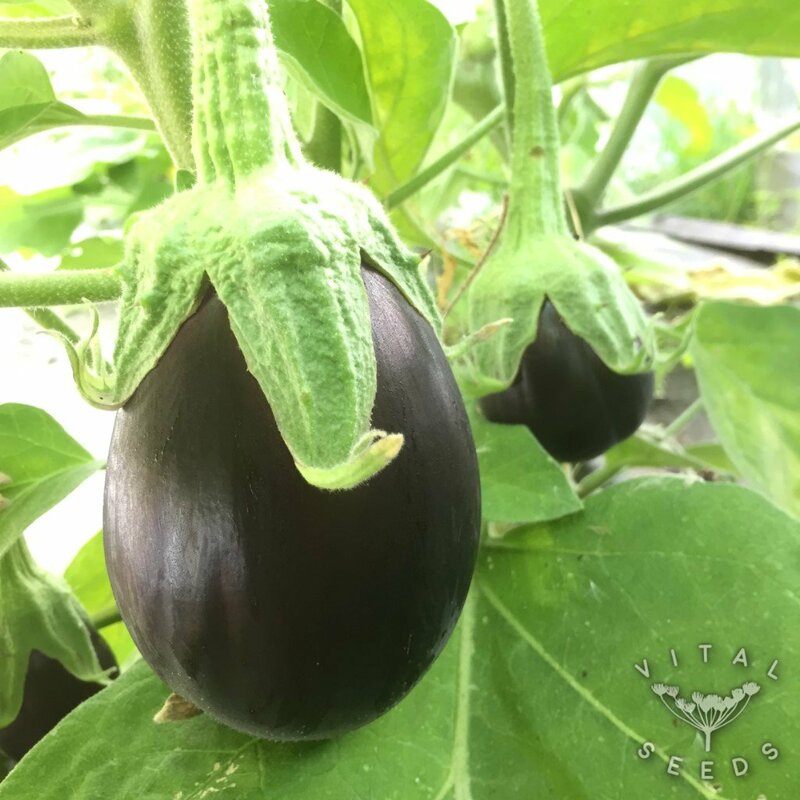 Black Beauty aubergines competes with its hybrid sister varieties. 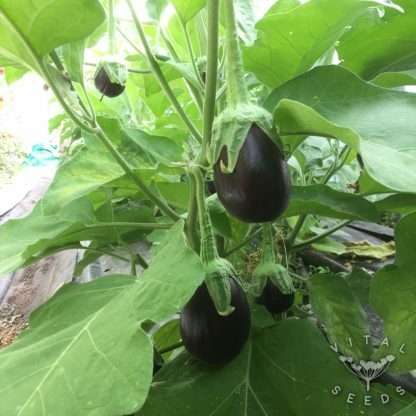 In the right conditions (light, greenhouse/polytunnel) they fruit abundantly and the plants grow tall and strong. The aubergines themselves are all shapes, sizes and shades of purple which prove popular at markets or in the kitchen! 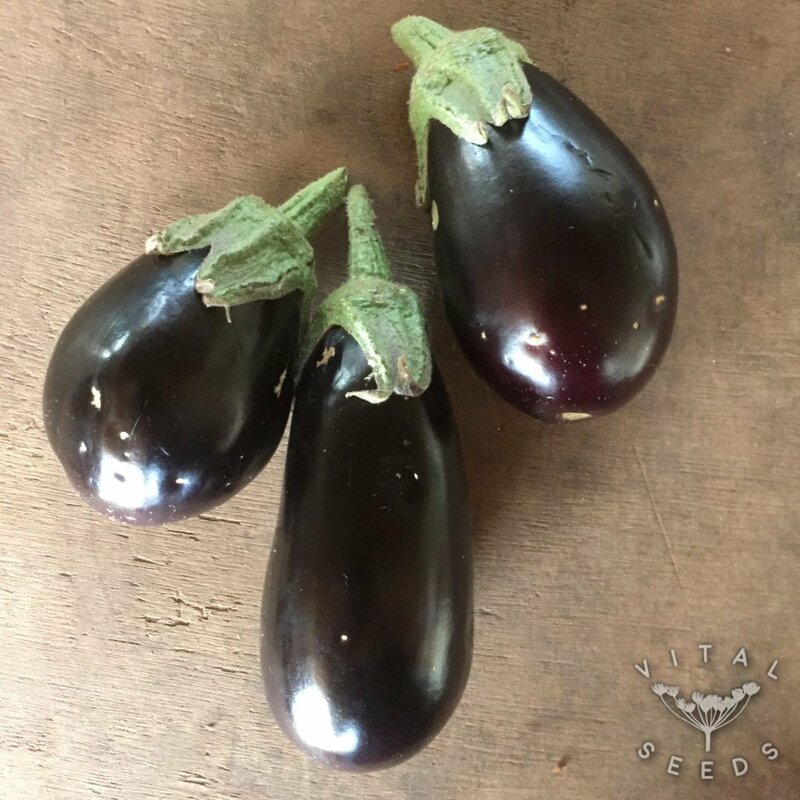 They fruit early to mid season with aubergines from July – September. This is our favourite variety to grow, and most importantly the fruit tastes fab!